WW2 POWs roped into one-off propaganda match versus the Nazis, daft American keeper nearly throws it away, Pele finally gets a decent cross. 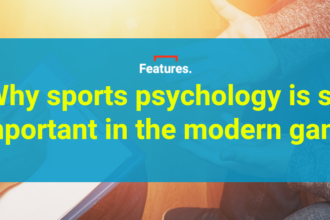 The fortunes of the football film genre have been at the mercy of one crucial issue throughout their history. Quite simply, it’s very difficult to film people pretending to play football. Dozens of directors of photography have tried and failed to capture an expansive end-to-end game, choosing instead to reduce it to self-contained one-on-one battles. Defenders tip-toe around the heroic striker who they’re not allowed to tackle, passively joining in one after another like hapless goons in a Bruce Lee movie who don’t seem to grasp that it might be more effective to outnumber him rather than wait in a queue for their individual humiliation. Consequently, in the wrong hands, a football action sequence is at high risk of going very badly indeed. Take, for example, 1987’s Wikipedia-page-less Hotshot – essentially The Karate Kid, but with a wooden Pelé in the Mr Miyagi role – which delivers the inevitable climactic moment in a way that makes you wonder what sport you’re even watching. In their quest to boil the sport down to a thick soup of last-minute drama, football films have an enduring obsession with the bicycle kick. It’s sufficiently spectacular to capture the attention of football-illiterate viewers and, better still, it’s easier to arrange and frame than Barnes, Rush, Barnes, still John Barnes, Collymore closing iiiiiiiiiiiiiiiiiin. With that concession made – no football film can reach a crescendo of a ball being bundled in from two yards, after all – there is still an opportunity to scrape back a semblance of mundane realism elsewhere. And where better to find it than a 4-4 draw between the Wehrmacht and some Allied prisoners of war, featuring Pelé, Bobby Moore, Michael Caine and half of Bobby Robson’s Ipswich squad? Although shorn of the defensive services of a newly-wedded Terry Butcher, the POWs’ player-manager John Colby of West Ham United and England (Michael Caine) still had plenty of talent to call upon once the match had been provisionally agreed with Major Karl von Steiner (Max von Sydow), himself a former international before the war ended – sorry, “interrupted” – both their careers. All three will have their moment when the time comes, but there were some crucial contributions behind the scenes. Ipswich and England defender Kevin Beattie won the crucial role as the 47-year-old Michael Caine’s body double – “Caine couldn’t even run 20 yards”, Ardiles recalls – and ended up in a rather curious backstage situation with the film’s mainstream-appeal hope, Sylvester Stallone. With the squad assembled and rewarded with their special rations (“whose mother do you want me to strangle?” quips Mike Summerbee’s Sid Harmor) it’s time for Michael Caine’s tactical masterclass. Mindful of the fact that the out-of-shape POWs “would be chucking their guts up” if they ran for ninety minutes, he implores them to pass the ball at every opportunity. Pelé is unimpressed. With a prescient nod to the brave, reliable platoon of American goalkeepers who would make the Premier League their second home, Stallone is shoehorned into proceedings as reluctant goalkeeper Captain Robert Hatch. 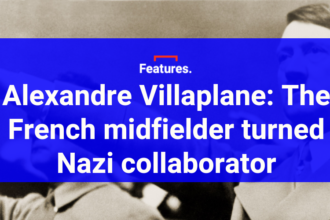 His fast-tracked soccer education – supposedly supplemented by some on-set coaching from Gordon Banks – is quickly established as one of the film’s lighter touches. With Ipswich’s two actual keepers ruled out – Paul Cooper deployed as Stallone’s body double and Laurie Sivell signed up as the Nazi No.1 Schmidt – young winger Kevin O’Callaghan found himself between the sticks, only to have his arm fictionally broken to allow escape artist Stallone into the team. To round off O’Callaghan’s indignity, his name was misspelled in the credits, by which point Sly’s apprenticeship is complete. Stallone’s blissfully naive portrayal of goalkeeping existentialism satisfies the uniquely British craving for Americans Not Quite Getting Football. “Where do I stand for a corner kick?” he repeatedly asks, as if that’s the most pressing of his worries. 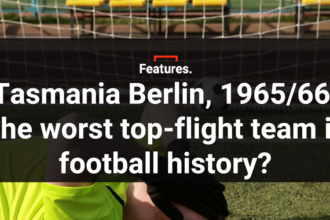 …before capping his performance with a 90th-minute penalty save, from a telegraphed effort by Baumann (New York Cosmos defender Werner Roth) that could generously be described as at a good height for the keeper. Following a stirring team talk from Russell Osman (“I don’t want to go. Let’s go back. We can win this”) and Summerbee (“It’s not as though we’re being slaughtered, skipper”), the Allies abandon their half-time plans to escape through the floor of the dressing-room bath in Paris, despite trailing 4-1. Ardiles’ Carlos Rey gets the second-half comeback going by beating five defenders, rounding the goalkeeper, and sliding the ball home to reduce the arrears and put a smile on Bobby’s face. Rather than some sustained Allied pressure, this is oddly the cue for some slow-motion showboating as Rey and his Norwegian teammate Gunnar Hilsson (PSV Eindhoven midfielder Hallvar Thoresen) appear to attempt the most unnecessarily elaborate short corner ever taken. After such mistimed pride comes the fall, though. Despite the Allies equalising through Fernandes’ magic, Rey blots his personal copybook by conceding that stonewall penalty at the other end. Ultimately, Caine’s gameplan of getting the ball wide and “pass, pass, pass” is proved right. With the Allies firmly under the Nazi cosh with half-time looming, Denmark’s Erik Ball (FC Twente forward Søren Lindsted) is freed down the left by Rey and his cross is met at the back post by Brady. 1-4! With the clock ticking down, and the ten men of the Allies running out of ideas, Fernandez brings his broken ribs back off the bench, along with the kitchen sink. At this point, the film delves into its box of Redemption Clichés and selects the “heroic moment brings even the most sworn enemy into spontaneous applause” device, just to ensure that good old Von Steiner comes out of this mess with some credit. Four years later, with no project under way, TV ratings for the USA’s 2-2 group-stage draw with Portugal encouraged Warner Bros to consider the prospect of dragging Escape to Victory into the 21st century. Bourne Identity director Doug Liman was approached, a script was drawn up but, mercifully, we’re still left with only Bank Holiday broadcasts of the original on ITV3. 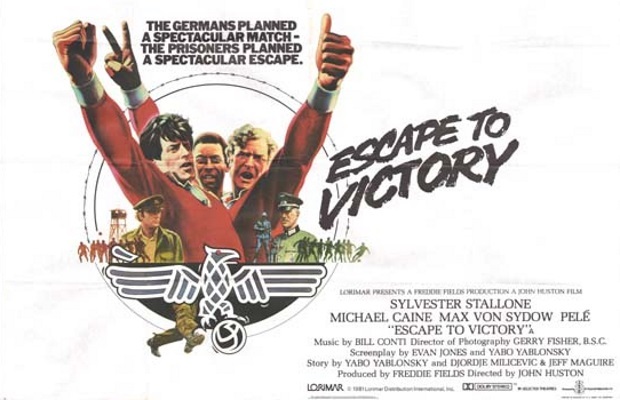 Despite the patently absurd plot, the early-1980s tracksuits in the crowd – and even the scoreline, relatively speaking – Escape to Victory somehow – somehow – finds itself right up there as the most realistic depiction of a football match on film. Even the Allies’ first equaliser – scandalously disallowed by the Nazi-supplied linesman – has an unchoreographable chaos about it. I once watched Escape to Victory in an Islington cinema, with a possibly half-cut Andy Gray shouting “COME ON PELE!” from the bar at the back. What other film could inspire such a scene? Not Goal (1, 2 or 3), certainly not Air Bud: World Pup, perhaps not even Shaolin Soccer. Escape to Victory isn’t just a must-watch, it’s a how-the-hell-have-you-never-watched.